Industrial Diesel Engine, Water Cooled, Equipped with Full Instrumentation and Safety Shut Down System, Four-speed transmission. Patented 27 Cubic Feet Double-Drum Mixer, Hydraulically Operated via Mechanical Drive, Counter Rotating Ribbon Paddles. *Options include Rubber Liner, Adjustable Packing Chambers and Outboard Bearings, 1½ cubic yard Mixer. 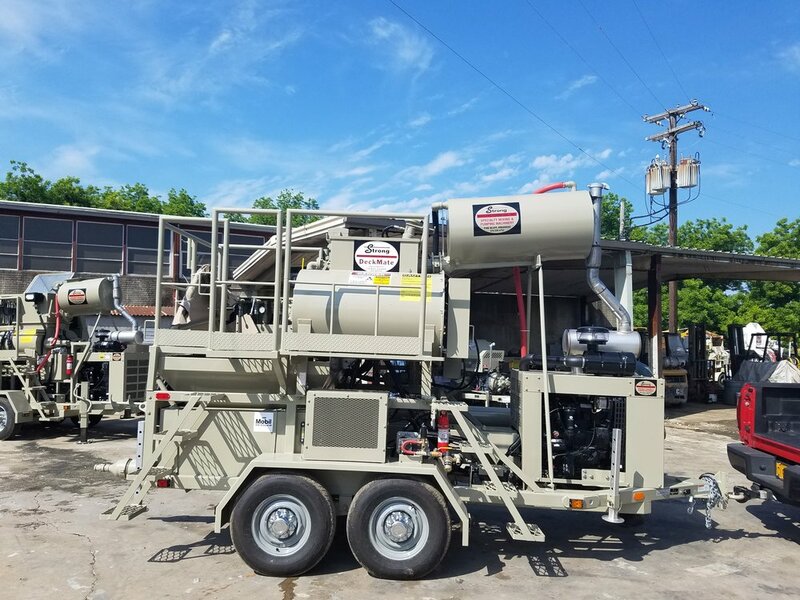 #100 Progressive Cavity Design Pump, Chrome Rotor, Natural Rubber Stator, 27 Cubic Feet Wet Material Holding Hopper, Variable Output 0-120gpm @0 psi. Options include, Hydraulic Powered Water Pump, Digital Water Meter.